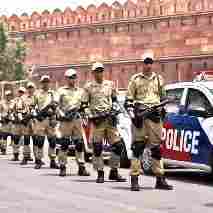 Brief Information :- J&K Police Constable recruitment has announced officially online registration forum is now rollout and J&K Police Constable recruitment 2019 updating in this post. Interested candidates can apply for this job post please read the eligibility criteria and qualification details in below the table carefully J&K Police Constable posts list pdf also available There are many vacancy available in J&K Police Constable. Payment can be done with online transactions opening and closing date are also provided into table. Also age limit is mentioned if having any question or facing a problem please contact us we will reach out you shortly. Comment below in the section. Fees Charges Rs.300/- online and various services Centres are Available. Last Date to Apply Online: 30 days after activation of the link which that's will be notified separately for candidates. Candidates should passed in Matriculation Examination from any Govt Recognized Board Qualification.